"My wife! I think she's dead!" Matt frantically tells park rangers that he and his wife, Marie, were hiking when she fell off a cliff into the raging river below. They start a search, but they aren't hopeful: no one could have survived that fall. It was a tragic accident. But Matt's first wife also died in suspicious circumstances. And when the police pull a body out of the river, they have a lot more questions for Matt. Detectives Loren and Spengler want to know if Matt is a grieving, twice-unlucky husband or a cold-blooded murderer. They dig into the couple's lives to see what they can unearth. And they find that love's got teeth, it's got claws, and once it hitches you to a person, it's tough to rip yourself free. So what happens when you're done making it work? JoAnn Chaney is a Colorado-based writer. Her first novel, WHAT YOU DON'T KNOW, is out now. 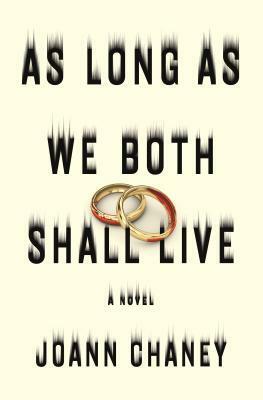 AS LONG AS YOU BOTH SHALL LIVE is to be released in January 2019.